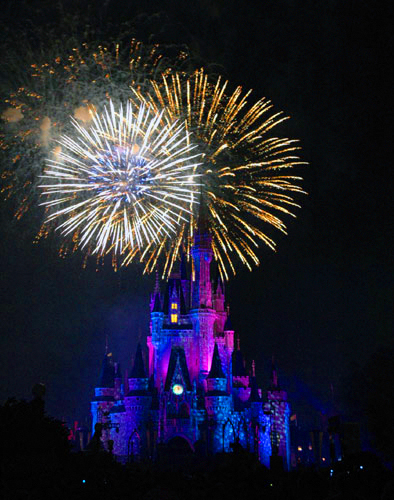 The top 3 US destinations for New Years are: New York City, Las Vegas, and Disney World. I bet if you took 30 seconds, you could identify why. Have you considered why your church is a destination? Each Sunday, it’s a destination for the people who attend. In fact, you could say that each Sunday, you are the top destination for your regular attenders. In order to be a great church in 2012, you HAVE to identify and/or do these 3 key things. The sooner you do, the better you’ll become. Know Who You Are. There has to be key reasons why you have a local church. Why don’t you meet with the church down the street? God chose you to have a segment of His larger Church for a reason. Can you describe it? If you can’t, then your congregation can’t. And it’s hard to get people to invite others (the #1 way to grow your ministry) unless they know. Have a Plan. If you don’t have goals for the next year, you will wander. You’ll leave your congregation behind. They’ll die without a vision. They need leadership. And leaders create plans (with motivation and steps necessary to carry out the plan). Communicate the Plan. Some Churches have plans. The leadership gets together as a group and creates them. But the congregation doesn’t know or understand why they’re enduring change because they don’t know the ultimate goal. You have to communicate your vision (from the pulpit, in newsletters, small groups, website, etc). There’s nothing more aggravating than being in a vehicle, and not knowing where you’re going. Are you ready to get started? If you don’t know how to get started, contact us. We can coach you through the process and/or help you with the communication materials. 2012 is going to be a great year!